This narrow bookshelf is ideal for books and collectibles in the living room, office or any room! 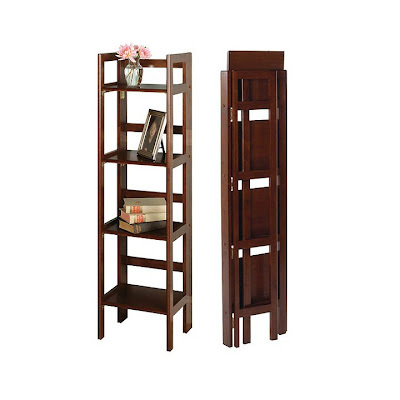 Made of solid wood, this bookcase folds easily for storage and mobility. Four shelves offer ample storage, and the narrow design is a guaranteed space saver.